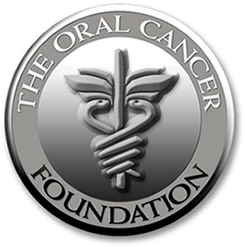 Oral cancer is the seventh most common cancer in the U.S. and is on the rise. It can occur on the lip, tongue, or floor of the mouth. While prevalent among smokers, people who chew tobacco and drink heavily, oral cancer can strike anyone. HPV (Human Papillomavirus) has also been associated with the occurrence of oral cancer. The VELscope oral cancer screening uses a revolutionary hand-held device that emits a harmless blue light into the mouth and detects changes in the fluorescence of oral tissues that can indicate cancer. Along with regular visual assessment, our doctors use the VELscope oral cancer screening system yearly on all patients over age 21. This fast, simple and pain-free diagnostic procedure can help provide early detection and dramatically increase cure rates. Schedule a VELscope Oral Cancer Screening.